Today, homeowners are paying a lot of attention to the way in which their homes and the outdoor spaces on their property are designed and maintained. Landscaping incorporates a number of aspects like hardscaping, softscaping, water features, patios, decks, gazebos and pergolas. But all these features and elements will have the right impact only when the landscape has the right kind of outdoor lighting. This is one aspect of landscaping that tends to be overlooked. 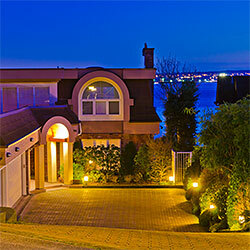 In most cases, outdoor lighting on a property consists of focusing floodlights on the exterior of the building. But that does not have the right impact. As a matter of fact, it can make outdoor spaces look stark and uninviting. When you contact us with your outdoor lighting requirement, we first understand what your vision for these outdoor spaces is and the kind of ambience you are looking to create. Once we have understood that, we provide you with customized solutions which are a mix-and-match of different outdoor lighting elements. 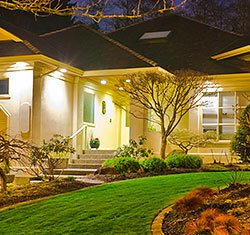 Every one of the outdoor lighting solutions that California Creations offers is high-value, low maintenance, will provide optimal illumination and create the perfect ambience for your property. We are very attentive to detailing and maintain very competitive pricing without cutting any corners in our work. If you have a plan or an idea, we can work on it. Alternatively, if you need us to suggest which solutions will work best, we can do that too. 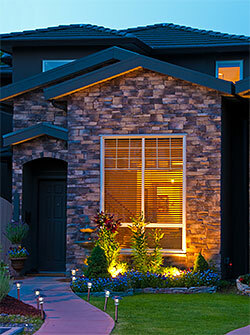 You can send us all your outdoor lighting queries via this online form or call us on 818-083-1213. We will provide you with the best quotes and customized outdoor lighting solutions that are low maintenance and pocket friendly. Call us with your requirement today.